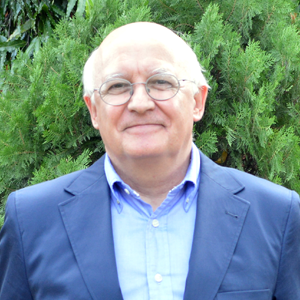 Jess Castellote (Zaragoza, 1956) is a Spanish architect working in Nigeria as a Project Manager since 1984. He combines his professional work with an intense involvement in several not-for-profit organizations, promoting development and educational projects in the country. He holds a Master’s degree in Architecture (UPV, Valencia) and one in Art History (UNED, Madrid). Over the years, he has been a keen observer of the Nigerian art scene. In 2004, he organized the exhibition “Without Borders” featuring works by Kainebi Osahenye, Wole Lagunju, Ben Osaghae and Rom Isichei. Since then, he has organized six other exhibitions and eleven “private viewings” of works by emerging Nigerian artists. Currently, he is the Director of the Virtual Museum of Modern Nigerian Art, an online educational resource he initiated at the Pan-Atlantic University, Lagos. He is also the Director of the Foundation for Contemporary and Modern Visual Arts (FCMVA) and he acts as an independent art advisor to private and corporate bodies. Since 2008, he maintains a widely accessed blog on contemporary art in Nigeria: “A view from my corner”. In 2012, he edited and published the book Contemporary Nigerian Art in Lagos Private Collections and in 2014, he co-authored the art monograph “Osaghae -Visual Chronicles of a Society in Flux”.